James Blake is distracted. Kind of like how artists get those few hours before they go onstage, except Blake isn’t preparing to step onstage to perform to a crowd of a few thousand. No, in the next 24 hours he will be putting his most vulnerable and ambitious statements to date before the world at large. You might think that for someone of Blake’s stature, confidence would be assured. But not entirely so. Even for someone with as an impeccable record as his – three critically and commercially acclaimed records and a string of high-profile collaborations too numerous to list but including Beyoncé, Kendrick Lamar and Jay-Z – there’s still leeway for doubt. Why? Well, by Blake’s own admission his fourth album different. He’s taken risks. Looking for more honesty, authenticity and ultimately truth within his work, he’s set his focus upon the greatest of all of pop’s emotions. Assume Form is about love. It’s new territory. And now, after masterminding some of the most personally significant music of his career, he is about to let it all slide out of his control. When the record hits he knows that ultimately it will be up to the fans to decide whether his creative impetus has paid off. How they receive Assume Form will determine the next few years of this artist’s life. This is weighing upon him. If it’s not directly carried upon his words – polite and genial as ever – it’s pregnant in the delays and the pauses between. But then again, maybe saying all this could be misrepresenting all that is really going on. As Blake has often said himself, no one ever really does get him right. Music Feeds: Before we get on to Assume Form, I’d like to talk about another really big collaboration you’ve had recently, the Black Panther soundtrack! Can you tell me a little about that experience? James Blake: It was just such an honour to be asked. I was aware of the weight of what was happening and the cultural importance of it you know? It was just a really wonderful thing to be asked to be a part of. And I love Kendrick’s music, I have done since I was young, ever since he released his first albums. MF: You once said around the time of your second album, “I’m king of the judge, jury and executioner of the record for the entire time, which is kind of a painful process.” How was it this time around for Assume Form? JB: Well I guess I wasn’t the only judge and jury on this one – although I was the executioner! I think the team of people who have helped me on it and have contributed really are the secret ingredient – not even the secret ingredient, the obvious ingredient – that makes this record in my opinion so special. Whether you like the record or not it’s definitely different to anything I’ve done before and that is in no small part to people like [Mount Kimbie’s] Dominic Maker. In fact, he was crucial to the way this record sounds. Also, Josh Smith the engineer, who is one of my good friends and just someone who really opened up the process and facilitated almost any desire in wanting to add whatever it was I added to the record. He enabled me to do it without breaking the flow. Before that, I’d just been doing everything on my own really. [Having Josh] was refreshing and enabling. And also, just the advice of my girlfriend [British actress Jameela Jamil], the input from her on honesty and authenticity and truth in writing. There was also a guy, an artist called Khushi who came at the end and really helped with some arrangement and production on the top of the songs. [I’d like to thank] Oneohtrix Point Never for his contributions too and obviously the people who sang and rapped on the record, they’re the frontline, the obvious ones. But yeah, it was quite a team effort. MF: I saw him live once and thought, “How can a voice like that come from a human being?” It’s just crazy. You’ve probably witnessed it a lot more than me! JB: I know. He’s very ah, he’s very modest but yeah, his voice is insane. So I’ve learned from him and I continue to learn from him. It was just so great to have him and for him to oblige. I felt very lucky and the song we’ve done together [‘Tell Them’] I love as well. And Metro Boomin. Having him on this record has just been so nice as a production switch because other than that it’s just been me and Dom or just me creating the instrumentals. And [Metro Boomin] really brings a mood setter in the form of that track [‘Tell Them’] which has him on it. And after that Rosalía. She is just one of the best people I’ve worked with. Just a fantastic voice and a fantastic personality. I love her record Los ángeles. I like all her records but the first one I heard was Los ángeles and that was the one that I really fell for pretty hard. MF: Is there an impulse you have when you hear somebody else’s music for the first time, a click in your brain which says, “I have to work with that person”? How do all of these collaborations start? JB: I mean yeah, I think I can hear it. I don’t know, it’s like a sort of a DNA imprint that people leave on their music that appeals to me. I can’t really – it’s like a resonance. I can’t exactly tell you why. The people on this record just are, they came into my life and I love what they do. I’m a big fan of all of them. Then on to André  who I’ve been a fan of since when I was young. I learnt from him before I met him. JB: Yeah, through his production, through his lyricism. Through his choices, even in fashion, the expression in his fashion. He’s someone I’ve looked up to. MF: I’d like to ask you about someone else you worked with a little while back which is, of course, Brian Eno. Brian had some input on your second record Overgrown. Have you been in touch since then? Would you work with him again? JB: Yes, I have! I would love to work with him again. I can see us working together in future, hopefully. And I’m also a big fan of his apps as well. I listen to every record he puts out, I’m an avid Eno listener now. I didn’t know Brian’s music that well before I met him. Now I’m a big fan of his. MF: You’re a man with a lot of fires burning. Besides supporting this new album what else can fans expect in 2019? Are there other things you’re working on that you can tease or share with us? JB: Yeah! I’m working on… a saag paneer recipe for myself to eat. And…. I’m also working on… [Laughs] In terms of music, I don’t know! But definitely, I’ve got some cooking aspirations! [Laughs] I don’t know about music. In terms of music, I guess I’m just going to try and make new stuff and see what sticks. 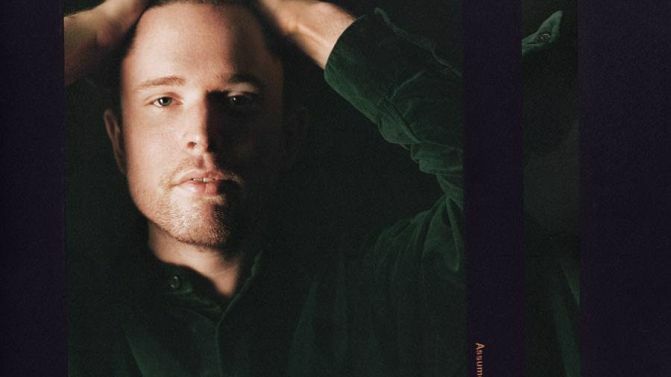 James Blake’s fourth album ‘Assume Form’ is out now. Listen here.